A major deal has been struck (Shanghai, December 26th) that could see the MG brand’s fortunes strengthened considerably and, according to Reuters, do for the marque what BMW did for the Mini. The deal, valued at a reported £144 million, saw China’s premier motor manufacturer, Shanghai Automotive Company, acquire the vehicle and core auto parts operations of Nanjing Automotive, the fellow Chinese car manufacturer which purchased the MG brand in 2005. 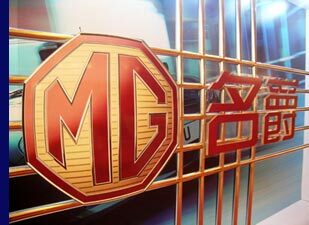 In doing so it re-unites the names of MG, Morris, Austin and Austin-Healey, acquired by Nanjing, with that of Rover and the intellectual property rights to the MG Rover designs, which SAIC bought from BMW for some £65 million. With a stock value of around £12 billion, Shanghai Auto, backed by parent SAIC, is ranked in global terms alongside such giants as Europe’s Fiat Group and Hyundai of South Korea. 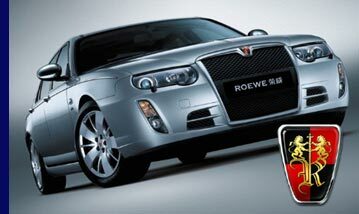 The SAIC Motor Corporation has joint ventures with General Motors and Volkswagen in China, but has also developed its links with the defunct MG Rover organisation by introducing the Roewe 750 to the Chinese market. Based upon the Rover 75, this image (right) illustrates just how much the car owes to its MG Rover heritage, even down to the shape of the badge. 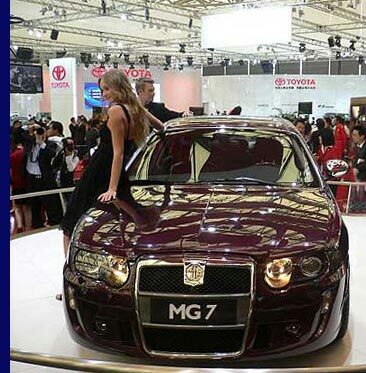 Nanjing Auto revealed the extent of its own plans for the MG marque when it rolled out its first MG sports cars and saloons, manufactured in China, in April 2007. Retaining rights to the MG name and badge assured Nanjing of a ready market and a rich history, not to mention a special connection to motor sport that has been maintained at the highest levels these past three years by RML’s own involvement with the brand. Nanjing’s plans centred upon returning the name of MG to international prominence and making it fashionable among China's emerging middle class. Also last year Nanjing Auto completed its first run of British-built MG TF sports cars, seeing production return to the famous Longbridge assembly plant after a two-year gap. By resuming production, particularly in Britain, Nanjing intended to revive the marque internationally through sales in Europe and the Commonwealth, where the MG brand remains a household name. However, the project demanded considerable investment, way beyond the £53 million paid initially for the brand, and this looked set to stretch Nanjing both financially and logistically. Zhang Xin, general manager, stated in 2007 that the company was actively seeking outside investors and would consider parting with as much as 50 percent of itself in order to fund the project. In the end, the Nanjing corporation retains less than 5% of the new, merged company. Nanjing Auto is reputed to have sold 3,000 examples of its MG 7 model (based on the MG ZT, right) since August 2007, out of almost 80,000 vehicles built by the company last year. This compares with some 1.25 million sold in total by SAIC. China is the fastest growing automotive market in the world, with over 35 million cars on the roads but where less than 2.5% of people own one (compared to 50% in Europe). Sales of private vehicles are projected to be over 4 million this year. Shanghai Automotive is not widely known outside its native China, and has been working hard over recent years to establish toeholds beyond its national borders. However, with the exception of a majority stake in South Korea’s SsangYong Motor Company, the acquisition of Nanjing, and thereby the names of MG, Morris, Austin and Austin-Healey, represents its first serious step towards making a name for itself word-wide. As part of the announcement on Wednesday 26th December, SAIC president Chen Hong revealed that the Longbridge facility would serve as a platform for the firm to tap into foreign markets, centred upon the MG brand. This must be good news for the future of the once-vibrant plant and suggests the possibility of further investment. 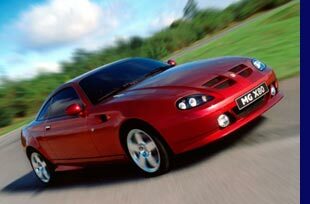 Inside China, however, the outlook for the MG brand is more complicated. 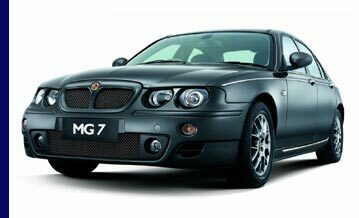 With SAIC promoting the Roewe 750, based upon the Rover 75, the model is positioned in direct competition with the MG 7 saloon produced by Nanjing. It even shares much of the same technology and styling, making it possible that the same marketing difficulties that thwarted MG Rover’s sales of two very similar vehicles might be repeated in China. "The next thing we will be focusing on is to clarify the market position of the Roewe and the MG, and differentiate the brands accordingly," said Liu Ningsheng, spokesman at Nanjing Auto. MG is one of a whole string of eminent British motoring names that have been forced to call upon foreign investment in recent years, including the likes of Rolls-Royce, Bentley, Jaguar, Aston Martin and Lotus. India's Tata Motor Company looks likely to acquire Jaguar from Ford, while Volkswagen owns Bentley, BMW has Rolls-Royce, Lotus belongs to Malaysia's Proton company, and Aston Martin is in the hands of a consortium headed by Prodrive’s David Richards but largely Kuwaiti-backed. In this context, the transfer of MG from one Chinese manufacturer to another represents little change in the overall scheme of things, but with SAIC having substantially greater resources than Nanjing, the future for MG does looks appreciably brighter.